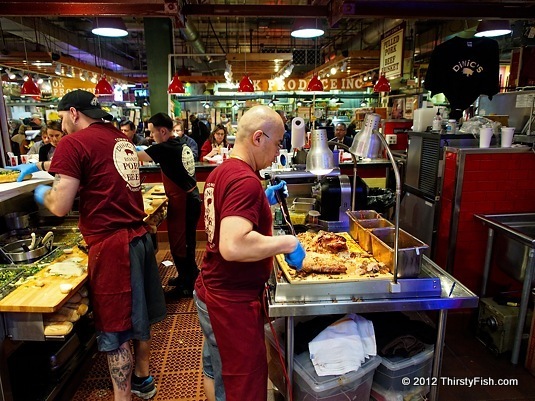 Tommy DiNic's at the Reading Terminal Market serves a menu of classic Italian sandwiches. There is a Chinese proverb, "wealth does not pass three generations". Researchers found the proverb held up in real life. But, there are exceptions; Tommy DiNic's is a fourth generation store, passed on from father to son. As always, I can't just leave an idea alone. How about the opposite of the Chinese proverb: Does destitute last more than three generations? Sadly, the answer seems to be 'yes'. It's much easier to fall than to climb. That's why I have a great deal of respect for generational small businesses, usually setup by first generation immigrants.